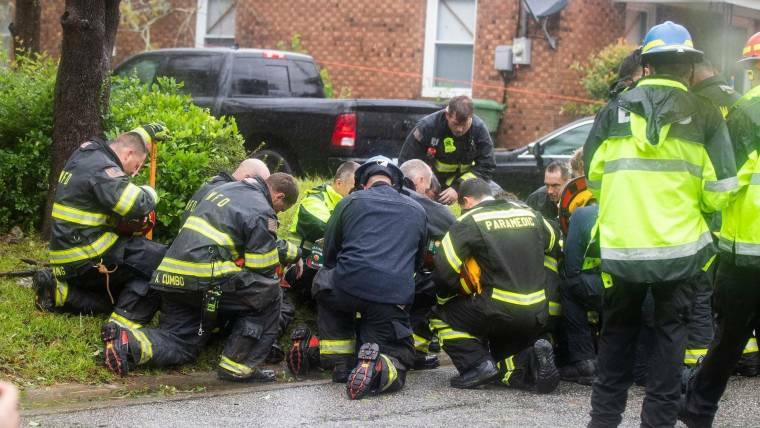 WILMINGTON, N.C. — At least seven people were killed after Hurricane Florence crashed ashore on North Carolina’s coast Friday morning, ripping apart roofs with extreme winds, threatening massive storm surges and requiring dozens of water rescues. The hurricane was downgraded to a tropical storm on Friday evening, and the National Weather Service said early Saturday that it was “slowly weakening.” Its sustained winds had weakened to 50 mph and were expected to decrease further. “Catastrophic flooding” of as much as five feet of water is forecast along coastal communities on Saturday, while areas further inland through southwest Virginia could see as much as 15 inches of rainfall. The heavy rain could result in “life-threatening flash flooding” and trigger landslides, the service said. Florence is expected to weaken to a tropical depression by Saturday evening as it turns northwest. The storm made landfall as a Category 1 hurricane at 7:15 a.m. ET Friday. 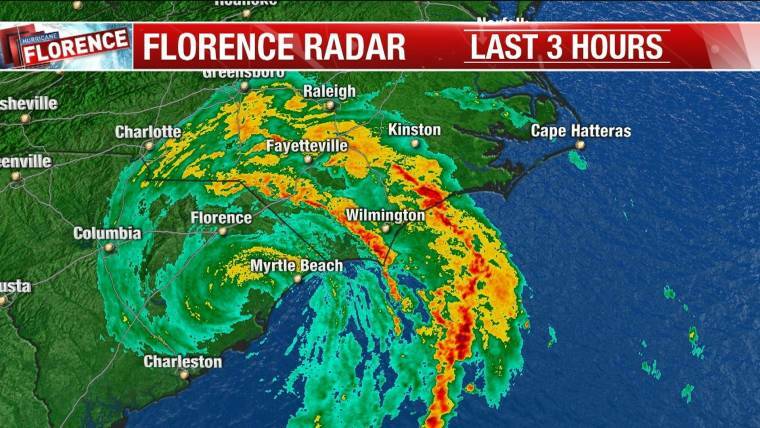 As of shortly before 11 p.m., Florence’s center moved into extreme eastern South Carolina and was about 15 miles west-northwest of Myrtle Beach and was moving west-southwest at around 5 mph. There were more than 788,000 power outages as of Friday night in North Carolina, according to the state department of public safety. More than 66,000 customers in South Carolina were also in the dark. 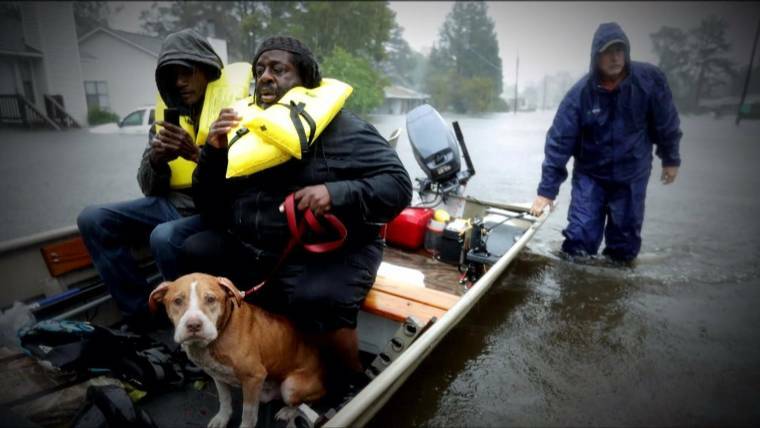 More than 300 people were rescued in New Bern, north of Wilmington. Florence was a Category 1 storm when it made landfall but continued to carry maximum sustained winds of 65 mph and crawl along at just 5 mph Friday night. Forecasters warned of a potential storm total rainfall of up to 40 inches of rain in some parts. “This rainfall will produce catastrophic flash flooding and prolonged significant river flooding,” the National Hurricane Center said. More than 788,000 customers were without power in North Carolina as of 10 p.m. Friday, according to emergency management officials. Social media users shared videos of snapped trees and water rushing onto coastal streets like rivers. 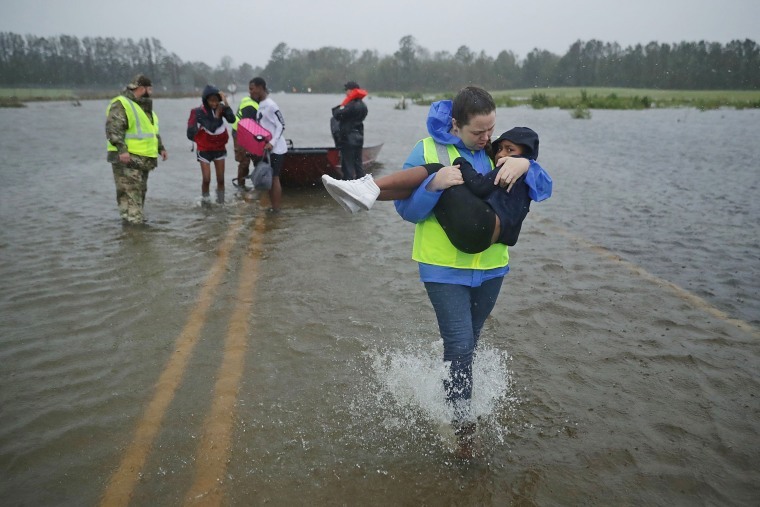 More than 360 people were rescued from flooded areas and teams had nearly 140 more people to get to, New Bern said on its website Friday evening. Mayor Dana Outlaw had said some residents remained holdouts even after crews went door to door pleading for them to seek emergency shelter.